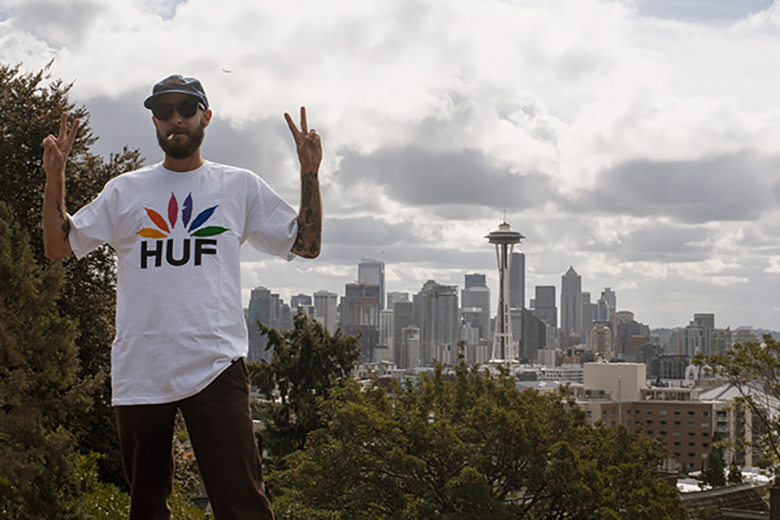 Following on from the success of previous tours in Asia and Europe over the past few years, HUF and Thrasher come together once again to take their popular ‘Stoops’ tour to the US of A. To celebrate their travels the pair have also linked up on a concise collection featuring a range of co-branded apparel, headwear and footwear. The release consists of graphic led tees, long sleeves and hoodies, alongside some lightweight outerwear, a small selection of headwear and socks. Stand out’s from the limited release include the vintage baseball 6-panel cap, which is available in 2 monochromatic colour options, and the lined ‘H’ coaches jacket in black. Be sure to check out the stoops tour video edit above featuring some of the biggest names from the brands world renowned skate team including Austyn Gilette, Brad Comer, Josh Matthews and more.